Happy Easter Monday – especially to Michelle, who I feature in today’s interview post. Michelle’s blog is called Thoughts and Things and combines fashion with travel and food. She is originally from Penang in Malaysia and then raised in Singapore. Michelle moved to Hong Kong in April 2012, and as of March 2013, works full-time as an English teacher at a learning centre. 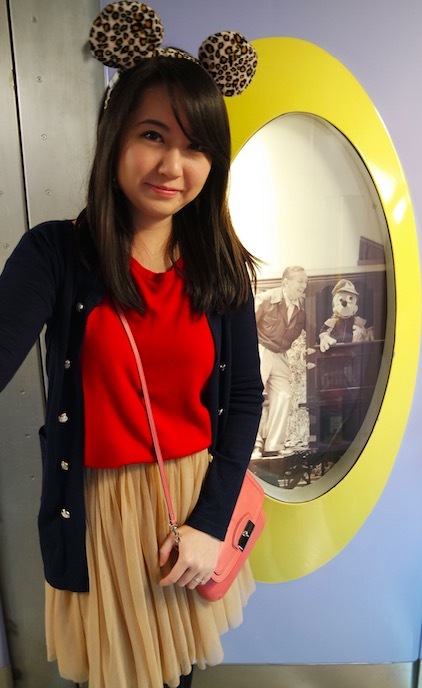 Her interests include cooking, dining, ballroom dance, and foreign languages – and it has to be fashion, food and Disney according to her blog! What made you start a blog? What do you blog about? Writing has been a passion of mine for years and I find the process to be therapeutic, even if it’s something as mundane as doing up a list of groceries. I started a blog because I simply wanted to get my thoughts “out there”. 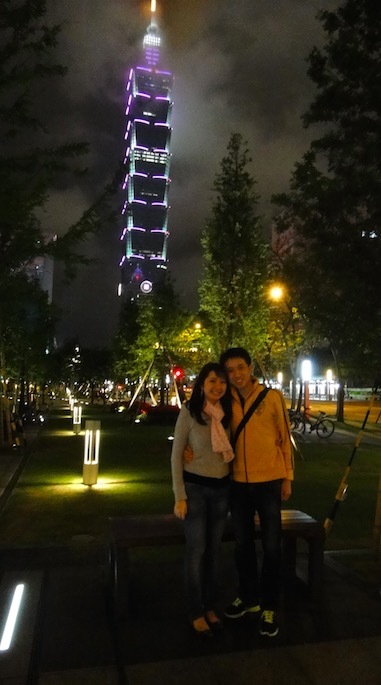 Living in Hong Kong means being away from family and friends, and this blog is also a means of letting loved ones know what I’ve been up to. 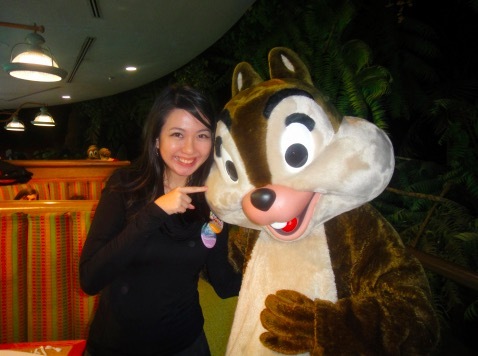 I mostly blog about travel experiences (Disney-related or otherwise) with a few tips here and there, should anyone be interested. “What to Wear” is something I have lots of fun with, and it’s something I’d love to do more of. More recently, I’ve been blogging about various restaurants in Hong Kong (for example SML and Kinsale in Kennedy Town). Food is always better when shared, and the virtual equivalent will be to share my experiences, along with a sprinkling of photos! 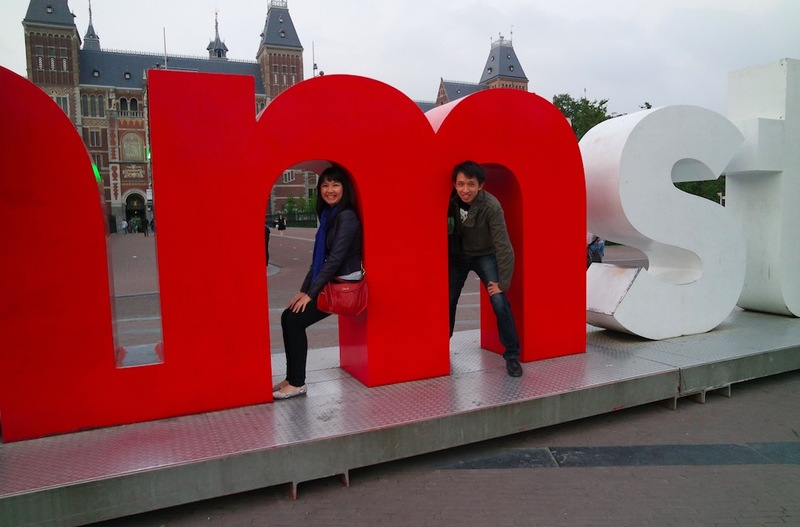 The other highlight was our honeymoon in the United States, way back in 2012. We spent one week in Walt Disney World (another dream come true! ), and one week in New York City. While the shopping, dining, and Broadway musicals were nothing short of amazing, my favourite part of the trip was actually when we spent a glorious afternoon in Central Park blowing bubbles, watching ducks, and revelling in the silence. So I guess there’s something to be said about doing nothing! I get inspiration from just about everywhere, from television programmes to people on the street. My students, with their endless antics, inspire me everyday. It’s a little cliched, but Instagram is also a great source of inspiration. What future blog posts have you planned? Any more Disney trips planned or restaurants you can (not) recommend? As I mentioned earlier, there will be more posts about the Europe trip, including dining in Paris and London, museum visits, and one or two on “What to Wear”. I’ll also do up some more Disney-inspired outfits via Polyvore, which I’m looking forward to. Alas, there won’t be any Disney magic happening anytime soon. 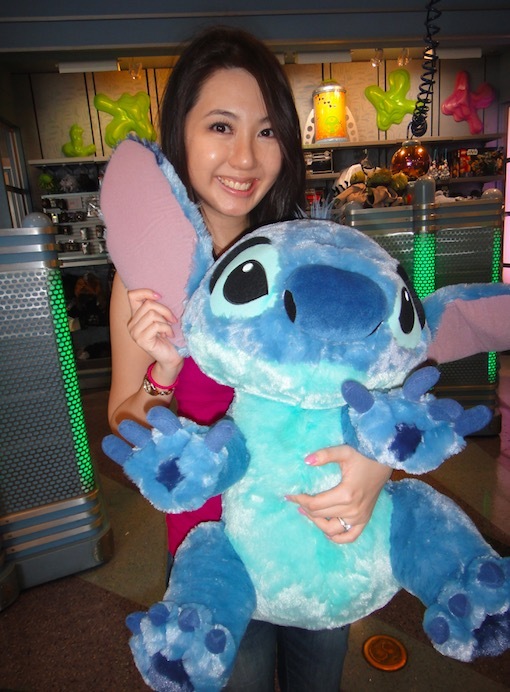 I’m aiming for Christmas 2016, either to Hong Kong Disneyland or the new park in Shanghai. Fingers crossed! As for restaurants, I’d wholeheartedly recommend Yat Lok (in Central), Lee House Restaurant (in Wanchai), and Yee Shun Dairy Company (in Causeway Bay). Stay away from Tsui Wah – it’s highly overpriced and overrated! Wear comfortable shoes and be prepared to walk a lot. Have breakfast and/or afternoon tea at a “chachaanteng” (HK-style diner). When in doubt, order a crispy bun with butter and condensed milk. An afternoon at the racecourse is quite exciting! Dress casually and remember to bring your own pen. Hollywood Road and the general Sheung Wan area are where you can find antique shops, hipster cafes, and lots of cool stuff in between! A day trip to Lamma Island will allow you to see a different side of Hong Kong. I would avoid going during summer though – too many mosquitoes. 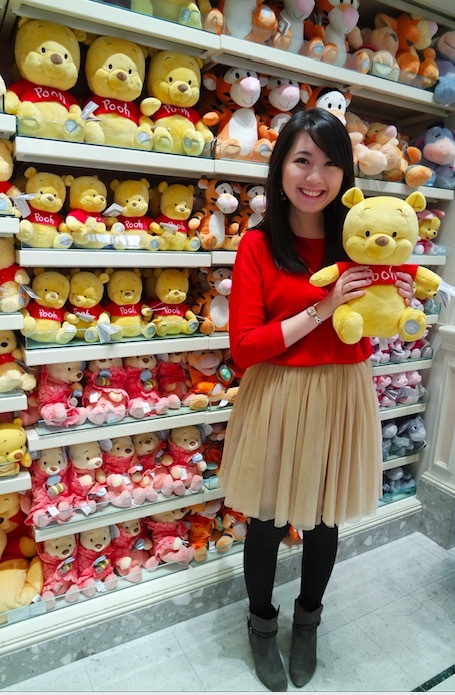 www.cheeserland.com – Love her posts about travel in Japan! www.bluebalu.com – Now that I’ve subscribed to the blog, I’m quite a fan! www.blogs.disney.com – This counts, right? 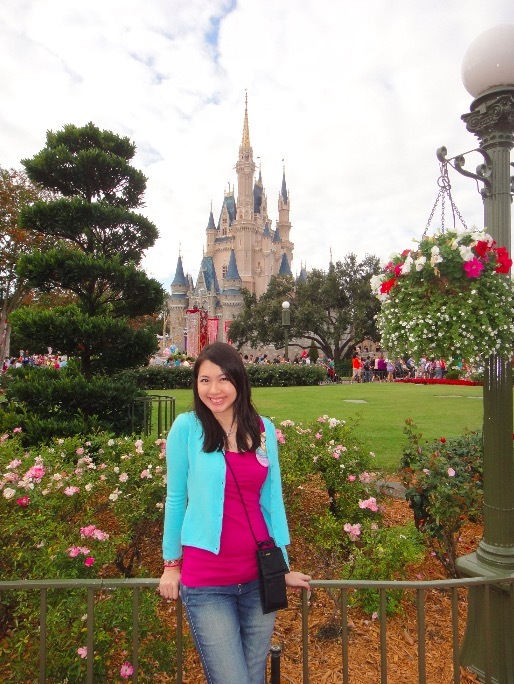 This site is a must-read for Disney fanatics! Thanks Michelle, it was nice talking with you – and I really love your combinations of Disney-inspired fashion, food adventures and general thoughts about life! Keep up blogging … and I’m curious if there will be an update of the 30 things before 30 list! You can find out more about Michelle’s blog by following her Twitter and Instagram accounts. PS: Missed a previous interview with a Hong Kong blogger or expert? Check out my series here & contact me on bluebaluinHK at gmail.com if you want to participate.